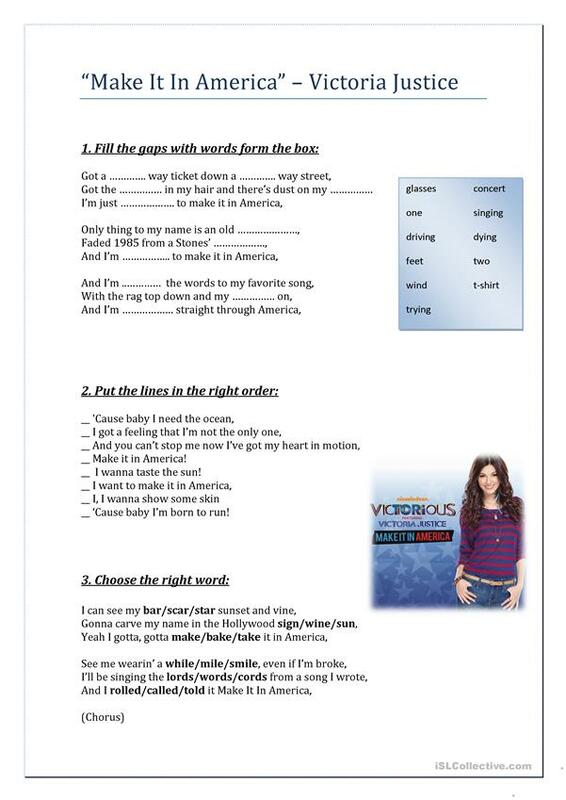 A song activity, a catchy song, for Victoria Justice and Victorious TV-series fans, but not only for them. 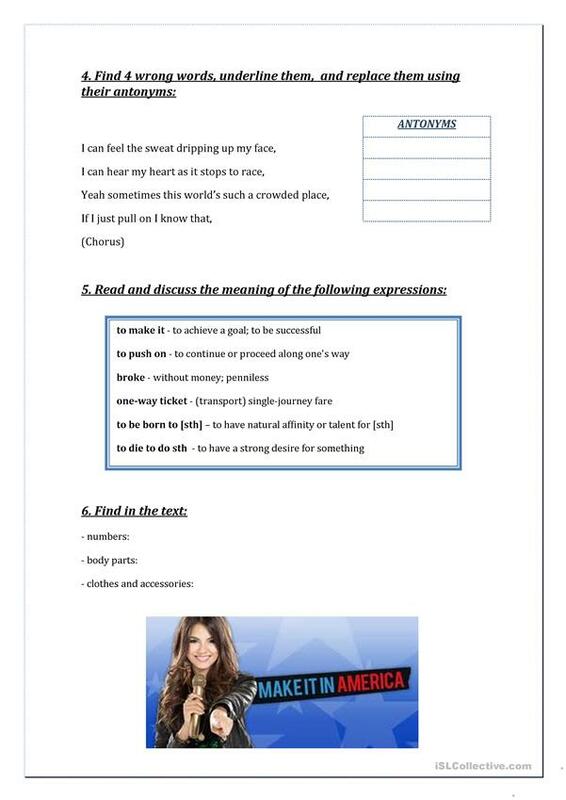 There are 6 exercises: fill the gaps, order the lines, choose the correct word, find antonyms, discuss some expressions and then find certain words in the lyrics. I hope you like it! The above downloadable handout is intended for high school students, elementary school students and adults at Elementary (A1), Pre-intermediate (A2) and Intermediate (B1) level. It is excellent for strengthening your pupils' Listening skills.